Crashes With Deer More Likely in the Fall | Hupy and Abraham, S.C.
We all know that the chances of hitting a deer in the fall are high. In fact, November appears to be the most dangerous month for motorists in Wisconsin, according to recent studies. Compared to Iowa and Illinois, you have a higher chance of hitting a deer in Wisconsin than either of those states. West Virginia 1 in 46; Montana 1 in 57; Pennsylvania 1 in 63; Wisconsin 1 in 72; Iowa 1 in 73; S. Dakota 1 in 75; Minnesota 1 in 77; Michigan 1 in 80; Wyoming 1 in 88; Mississippi 1 in 91. Wisconsin came in fourth in the nation for chances of hitting a deer, while Iowa captured the fifth spot. Illinois was in 32nd place with a chance of 1 in 200. If you’re interested, the state you’re least likely to hit a deer is Hawaii with a chance of 1 in 6,379. There are news accounts of fatal or serious injury crashes with deer, but how many crashes occur in a year? In fourth place Wisconsin, there was an average of 56 crashes per day in 2016. Eleven of those, all motorcyclists, were fatalities and 378 resulted in injury. In total, Wisconsin recorded 20,413 crashes with deer, most of those involving vehicle damage and no injury. 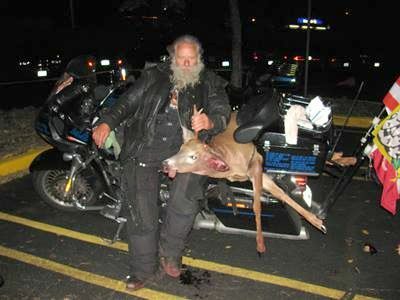 2017 recorded six motorcycle fatalities involving crashes with deer. Deer are unpredictable and hard to see, especially in the fall. 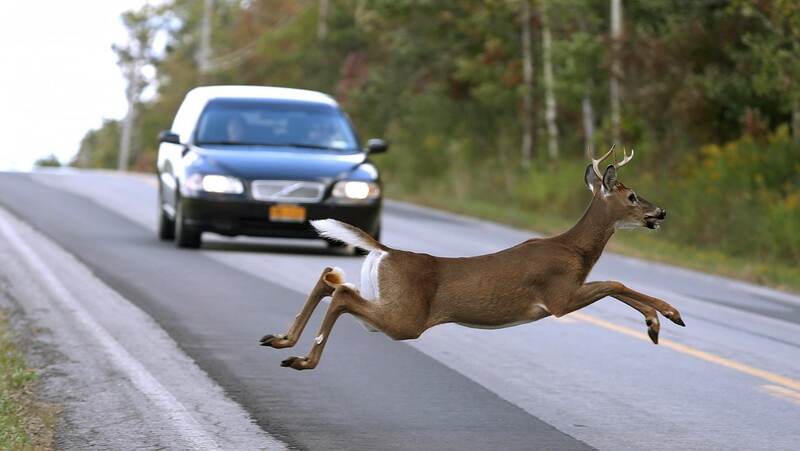 There are things you can do to reduce your chances of hitting a deer, whether in your car or on your motorcycle. Slow down, especially on country roads. 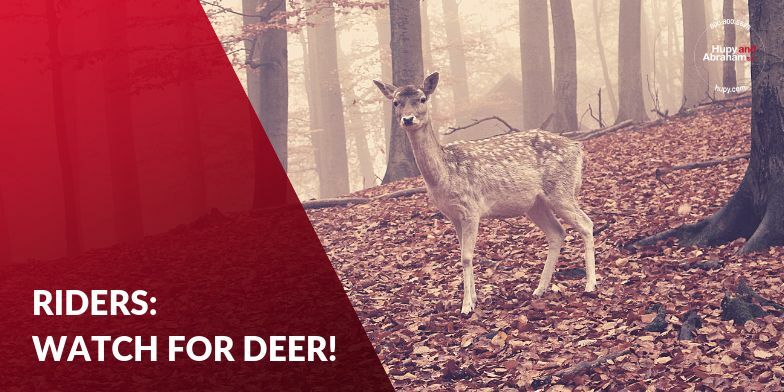 A reduced speed will give you more time to react and brake if a deer suddenly jumps in front of you. Remain alert. If you see one deer, chances are there are more lurking in the brush waiting for a chance to cross the road. Be especially vigilant at dawn and dusk when visibility is reduced. Use your high beams when you can. Don’t rely on gimmicks like deer whistles. There is no evidence they work. Finally, don’t rely on deer crossing signs as a place to watch for deer. 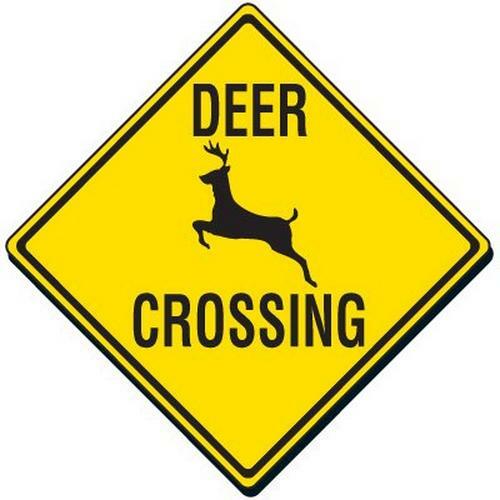 The deer can’t read those signs and don’t know they’re supposed to cross there.